I own and run the top ranked online family business magazine and resource centre, building on years of experience of working in the family business sector. Brought up in a family business I have continued to work with them throughout my career, from audit clients to developing a family business consultancy service to them for Grant Thornton, to being the non-family MD of one and then establishing a leading family business resource centre, developing an online family business community and becoming editor-in-chief of the UKs only bespoke family business magazine, Generation. 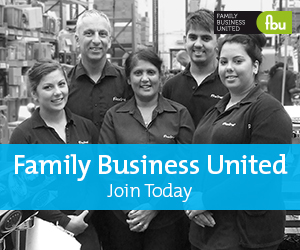 Since setting up Family Business United in 2012 an online magazine and resource centre for the family business community, I have also been working with a number of professional service organisations helping them to develop their offering to family businesses. Clients have included Grant Thornton International, KPMG, Farrer & Co, Coutts & Co and The Institute for Family Business. I regularly undertake research projects too, interview family businesses for written features and releases and organise family business events as well. I am very fortunate to be doing things that I do enjoy and working with family businesses is at the very heart of it all!